On a Liverpool railway platform a heartbroken mother hands over her eight-year-old illegitimate son for adoption . . .
A vicar brings to his bank vault a diary - sewed up in calico, wrapped in parchment - that chronicles his longing for other men . . . The one-year-old daughter committed to an institution and barely visited or referred to by her family ever again . . . 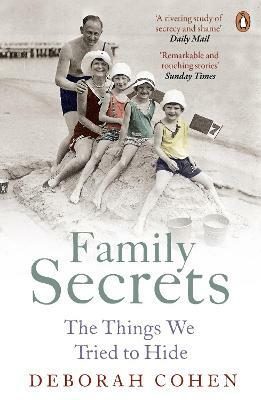 In Family Secrets Deborah Cohen explores the extraordinary choices British families made in the past to protect their good name. Whether it is hiding an adopted son's origins or the tangled attempts to prevent a divorce, Family Secrets exposes how we dealt with our shame - publicly and in our hearts. Born into a family with its own fair share of secrets, Deborah Cohen was raised in Kentucky and educated at Harvard and Berkeley.She teaches at Northwestern University, where she holds the Peter B. Ritzma Professorship of the Humanities.Her last book was the award-winning Household Gods, a history of the British love-affair with the home.